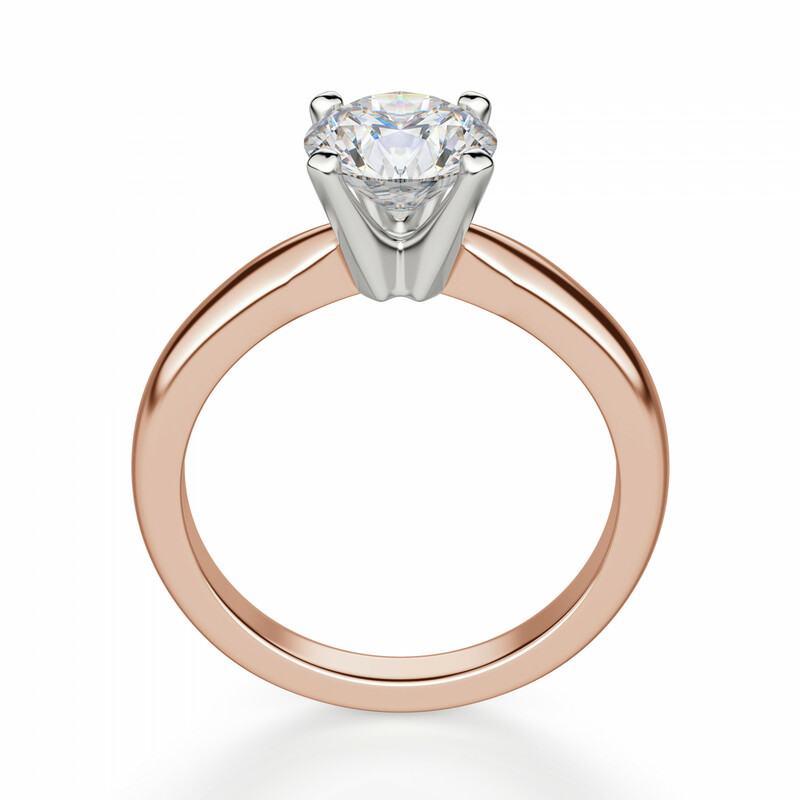 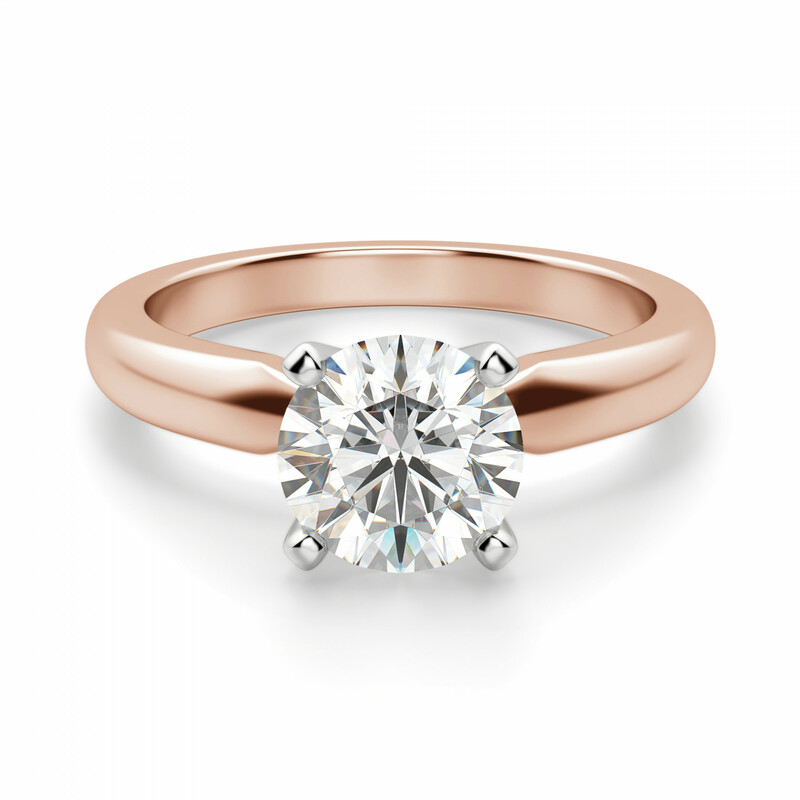 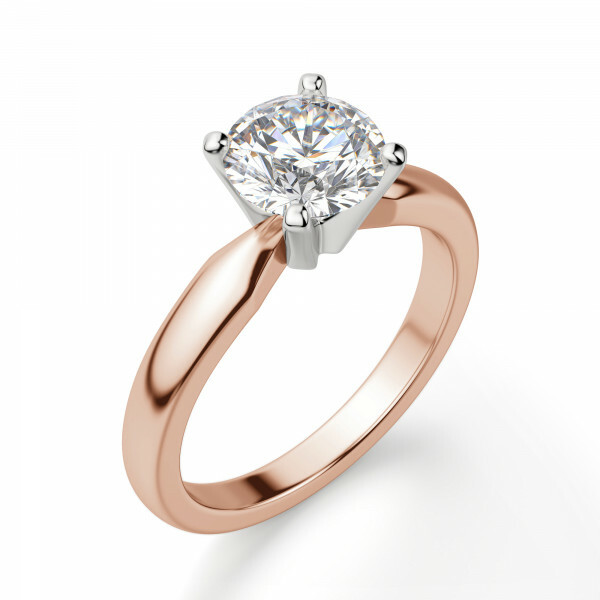 Tiffany-Style with 1.03 Carat Round Brilliant Center - 14k Rose Gold was added to your cart. 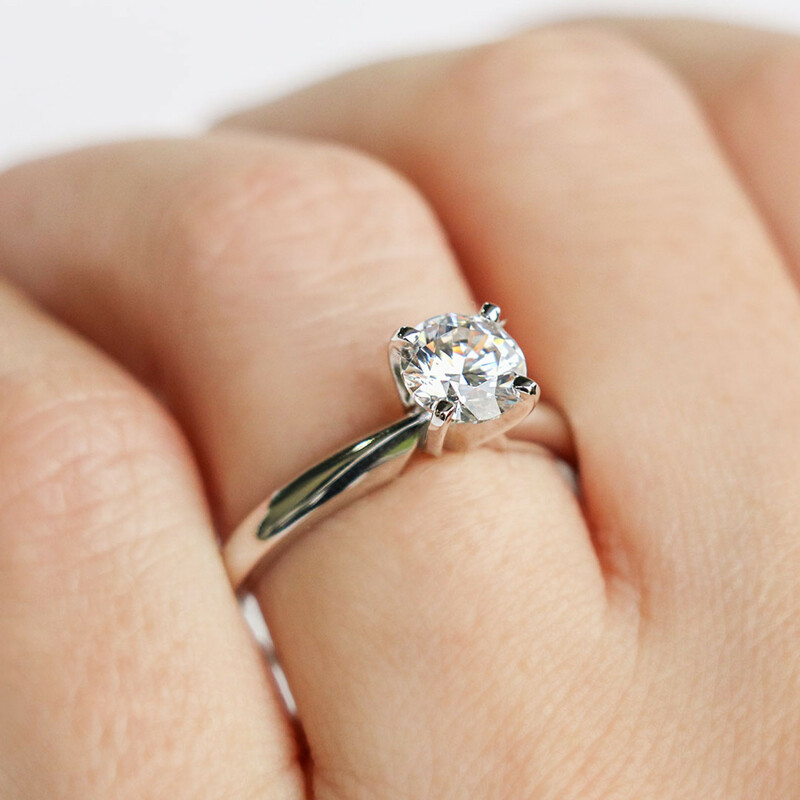 The ultimate classic engagement ring, this ring puts the sparkle of the Nexus Diamond alternative at center stage. 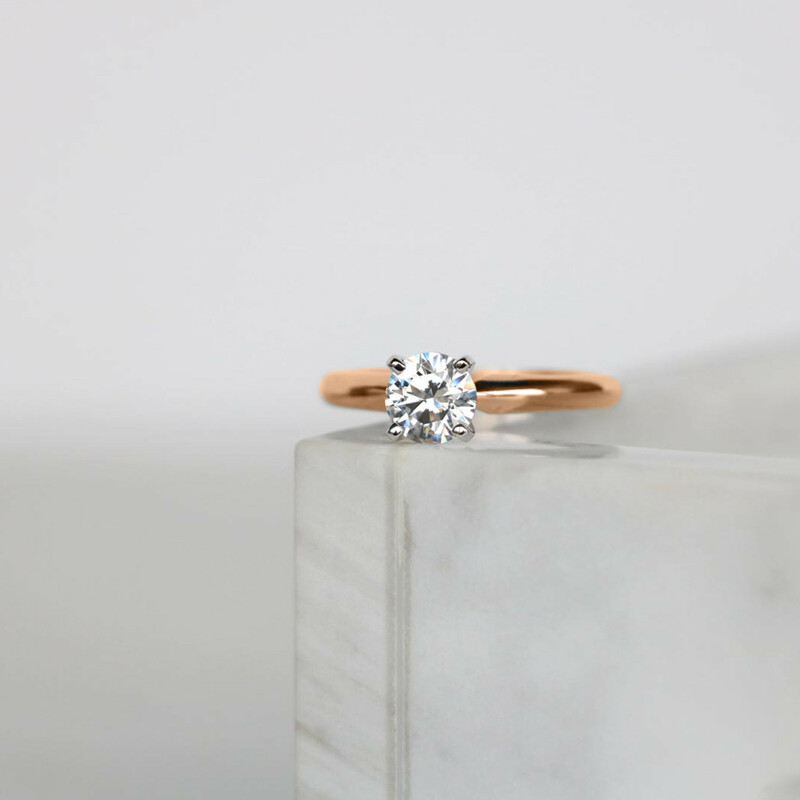 The comfort-fit band's rounded edges and graceful lines make it as comfortable as it is beautiful. 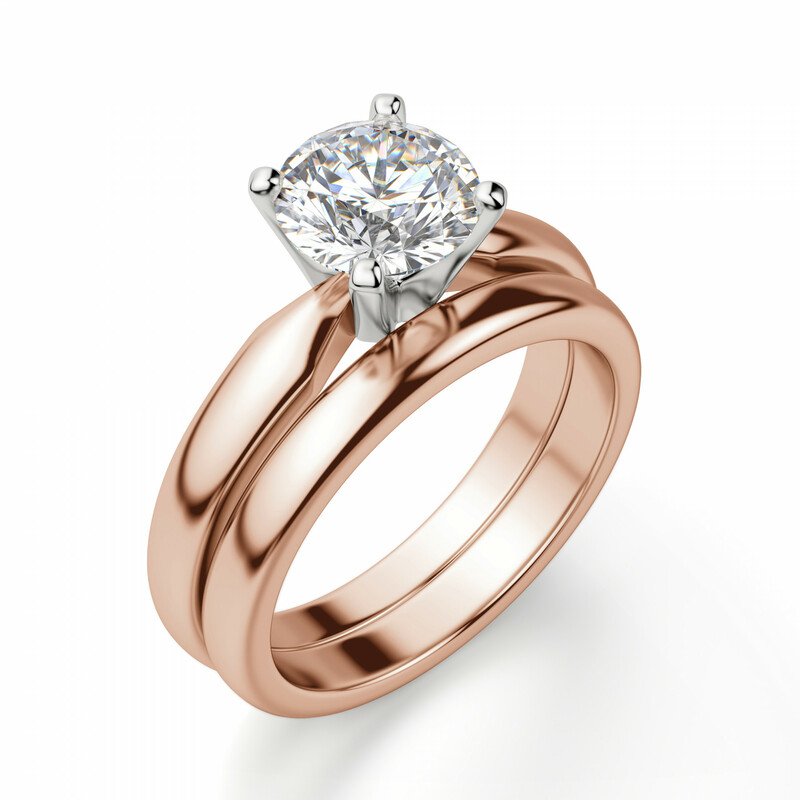 The elegant matching band completes this bridal set. Complete the look with the matching Tiffany-Style Solitaire band.